Yamamoto, 30.4.2017: Stop war before it starts! H. Yamamoto, 5.10.2015: Let’s fight against privatization, outsourcing, casualization and war! 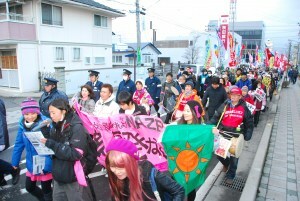 H.Ashton, 4.2.12: Will TPP open the door to Frankenstein food in Japan?